For 21-year-old, Kristopher Boesen, the future seemed extremely bleak and difficult. After surviving a car crash in 2016, when his car skid on a wet road and eventually crashed into a telephone pole after hitting a tree, he was told that he would possibly never be able to use any of his limbs again. Paralyzed from the neck down, and possibly staring into a hopeless future, his family found a tiny ray at the end of the dark tunnel when they were informed that he could possibly qualify for a clinical study involving paraplegics. Kristopher became one of the patients involved in a clinical trial of stem cell treatment conducted by Keck Medical Center of USC, led by Dr. Charles Liu, the director of USC Neurorestoration Center. Before Boesen could qualify for the study there were a few things that had to be done. He had to be able to breathe on his own, without a ventilator, so that he could vocally confirm his willingness to be a part of the study. It generally takes about three weeks to wean a patient away from assisted breathing but in Kristopher’s case his determination was so strong, it took only five days. His condition also had to be stable enough for the injection of AST-OPC1 to be administered. The injection is usually given between the 14th and 30th day after the injury. Once his confirmation was received, the next stage was the assessment stage which involved scans and pre-surgery tests. By early April the first part of the procedure was conducted. As part of the trial, an experimental dose of stem cells (10 million AST-OPC1) was carefully injected directly into Kristopher’s spinal cord. OPCs are cells of the brain and spinal cord which form myelin and assist in the functioning of nerve cells. With this treatment, the size of the injury cavity is supposed to shrink and heal gradually over a period of time. Just a fortnight after surgery there were already marked signs of improvement. Within three months he could use his hands for almost everything, like the small task of brushing his own teeth, eating his own food and using his cellphone. A huge achievement for someone who could not even lift his own hand a few months earlier! He can now write, hug his family and friends and even operate a motorized wheelchair. Kristopher’s progress has been closely monitored by doctors involved in the study. From the first week post the injection, his progress was continuously monitored and detailed assessments were provided until the first year. 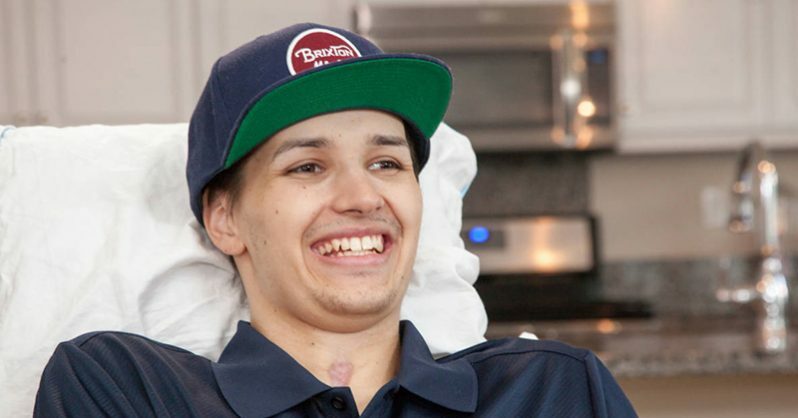 Although Kristopher hasn't recovered the use of all his limbs, the fact that he has recovered the sensation of his upper body is nothing short of a miracle for someone who was paralyzed from the neck down. The success of the treatment on him provides hope for numerous patients the world over. It indicates that regenerative medicine and stem cell therapy is here to stay.